Professor Tony Lawler, President of the Australasian College for Emergency Medicine, has something to say to those who might overindulge this holiday season. Hey Australia and New Zealand, please go easy on the booze this Christmas. I’ve been an emergency department (ED) doc for 20 years and I can tell you we have a problem with alcohol right now in our countries. Here at the Australasian College for Emergency Medicine (ACEM) we’ve just conducted our latest Alcohol harm in EDs snapshot survey. And I have to say – the stats aren’t good. In Australia, one in eight patients this weekend was in the ED due to alcohol. One department had 24 patients there due to alcohol. In New Zealand, one in four patients were in the ED because of alcohol. That means a quarter of patients across the whole of New Zealand were in emergency because they drank too much, or because someone else got drunk but they paid the price. In two of the smaller departments, every single patient was there because of alcohol! The ACEM Alcohol harm in EDs snapshot survey is conducted around the same time every year, just before the summer holiday season. 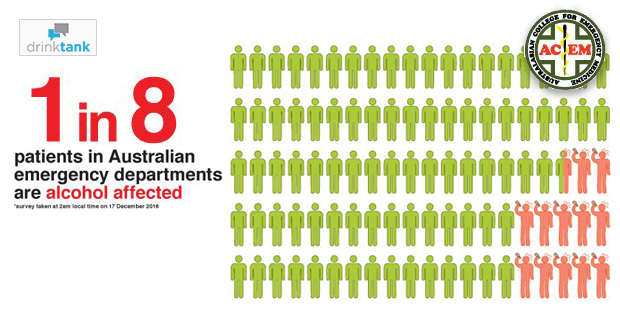 This year our survey was the biggest yet, with over 130 hospitals responding across Australia and New Zealand. Every year when we collect these stats I really hope they will be better. And every year I’m sad to say we haven’t improved, and in some places we’ve got much, much worse. We need to take a serious look at how, and how much, we are drinking. And more importantly, how alcohol affects us, our health, and the health and lives of those we love. We need to be advocating for some major public health initiatives. We all know of the studies that have shown modifying alcohol availability, pricing, promotion and advertising can help curb alcohol harm. But on top of that, we need to be talking about changing our culture. Are we prepared to continue paying the price of excessive alcohol intake? This festive season, let’s do everyone a favour. Encourage your friends, family, and your household to engage in moderate drinking. Alcohol harm doesn’t just affect you, it affects your family, your community, and if an intoxicated person ends up in the ED it can affect other patients and medical staff. Alcohol affected patients often need restraint and extra care, they pull resources from those who need it, they intimidate and scare other patients – including children – and sometimes physically assault our staff. I’ve seen it myself. I’ve experienced aggression and violence from alcohol-affected patients and seen my staff assaulted time and time again. But the worst thing is watching a family come in whose Christmas has been torn apart because someones had too much to drink and hurt themselves or someone else. So, please, let’s all think before we drink this holiday season. Congratulations to FARE for fantastic work in 2016! Your evidence-based approach to advocacy on public policy issues relating to alcohol harm is exemplary. 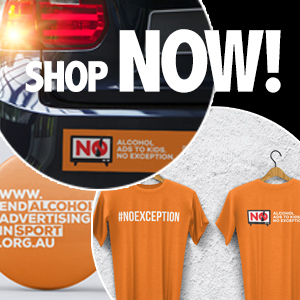 You & your team are making a very important contribution to shifting debate on the role of alcohol in Australian society. You – & those who support you – are making headway, albeit against massive vested interests & their lobbying power. I wish you every success in 2017. Don’t burn out – we need you! BTW, 2 years ago I swore off alcohol because I was so furious with the alcohol lobby’s attempts to counter your advocacy. I’ve stuck to that – half a glass of champagne per year is my limit, & I refuse to buy alcohol for colleagues or friends (I buy them Maggie Beer’s non-alcoholic sparkling ruby cabernet instead).